Renate McNay, co-founder of “Consciousness TV” interviews Miranda on what it means to ‘be nothing, do nothing, get nothing, become nothing’. Miranda speaks about the dark night of the soul, touching on both her own awakening experiences and reflecting on the universal human condition. This interview touches upon the feminine perspective on the awakening process and the importance of fully embracing our humanity. “Our soul is longing to belong to humanity and enlightenment is the human nature”. 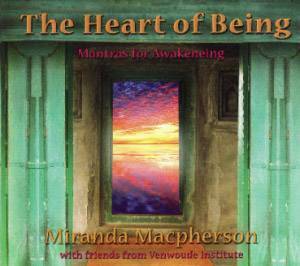 Miranda Macpherson is a spiritual teacher, counsellor and author of ‘Boundless love’. Known for her depth of presence and refined capacity as a guide into direct experience of the sacred, Miranda teaches and transmits a powerful synthesis of self-inquiry, depth psychology, devotion and meditation. Inspired by Ramana Maharshi, A Course in Miracles, and extensive study into the world’s wisdom traditions, Miranda has over twenty years teaching experience internationally. In 1996 she founded the ground breaking ‘Interfaith Foundation’ in London, and during her 10 years as spiritual director she trained and ordained over 600 ministers and spiritual counselors. She is now based in the San Francisco Bay Area, and leads retreats and ongoing programs internationally for those wanting to substantially deepen their practice. Miranda offers an integrated and feminine approach to non-dual realization oriented at facilitating direct spiritual experience while providing a practical foundation for authentic transformation. Her clarity and love offers a deep holding in which to rest undefended in the present, taste deeper levels of consciousness and discover how to embody wisdom in daily life.